A rare and deadly tornado has ripped through Cuba's capital, Havana, leaving at least four dead and nearly two hundred injured as it tore off roofs, flipped vehicles and reduced some of the buildings in its path to rubble. Men work to remove rubble from a car after a home collapsed on it during a tornado in Regla, Cuba. 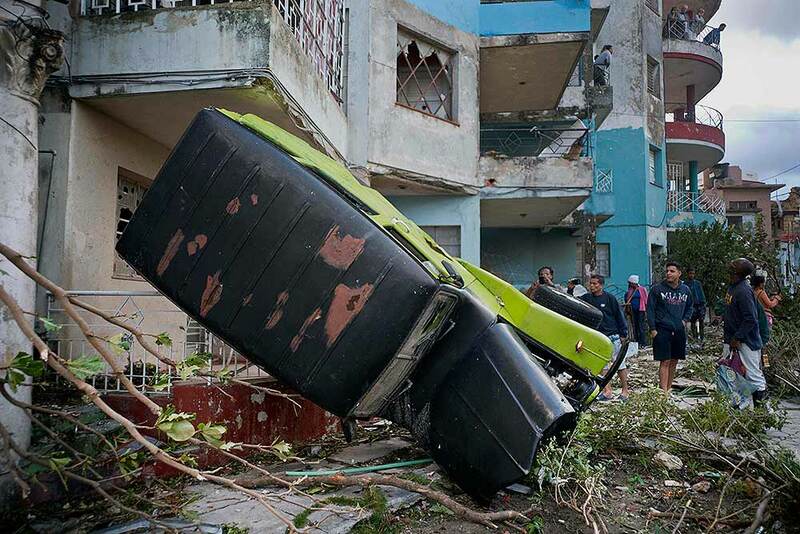 A tornado and pounding rains smashed into the eastern part of Cuba's capital overnight, toppling trees, bending power poles and flinging shards of metal roofing through the air as the storm cut a path of destruction across eastern Havana. 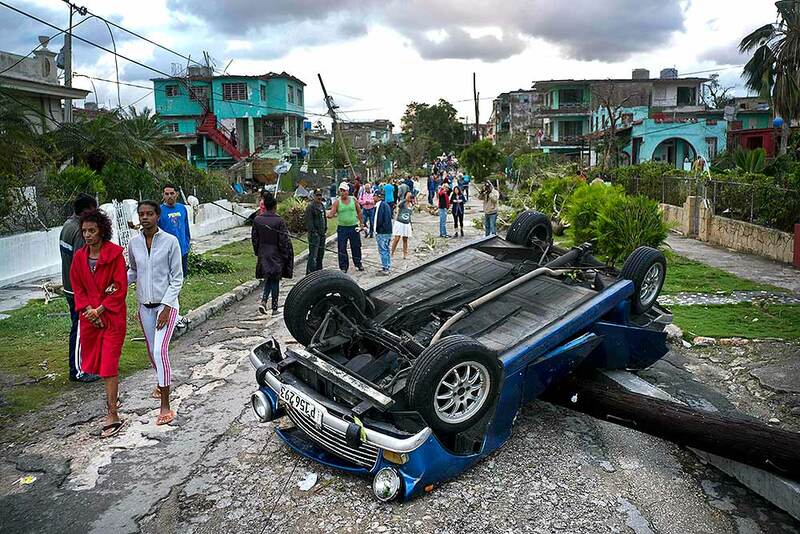 A car overturned by a tornado lays smashed on top of a street pole in Havana, Cuba. 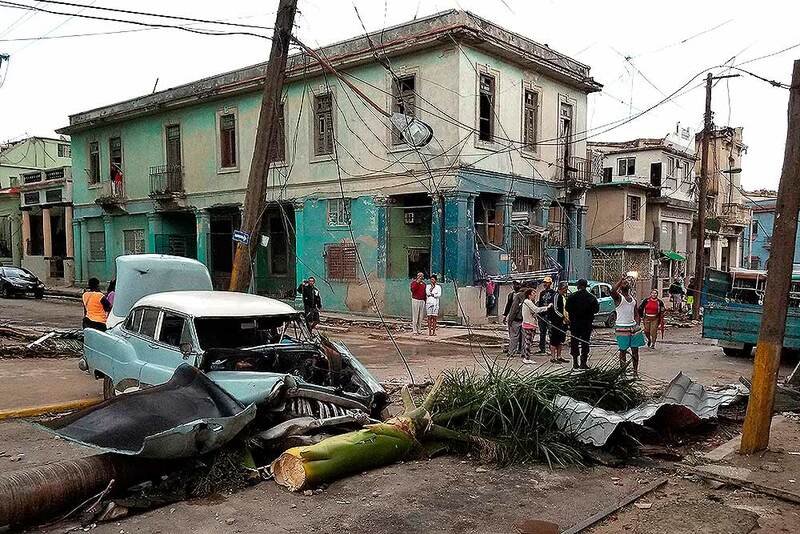 A truck is toppled against a home after a tornado in Havana, Cuba. 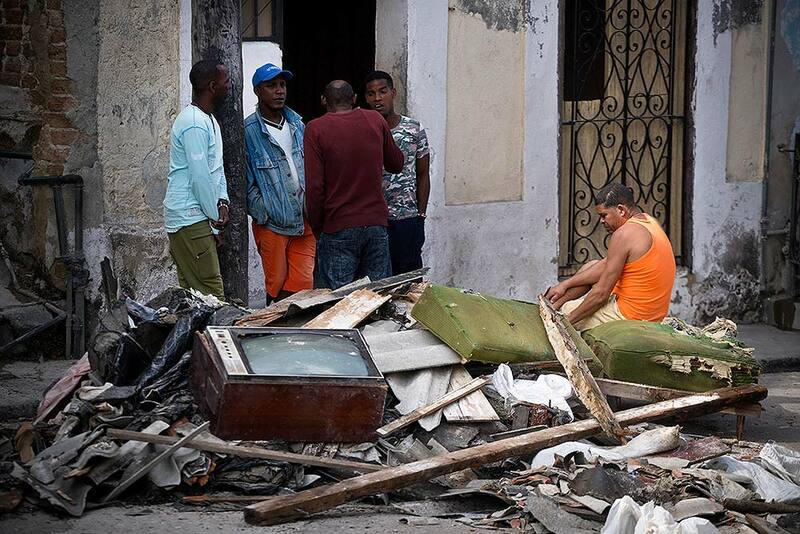 People survey the damage left behind by a tornado in Havana, Cuba. 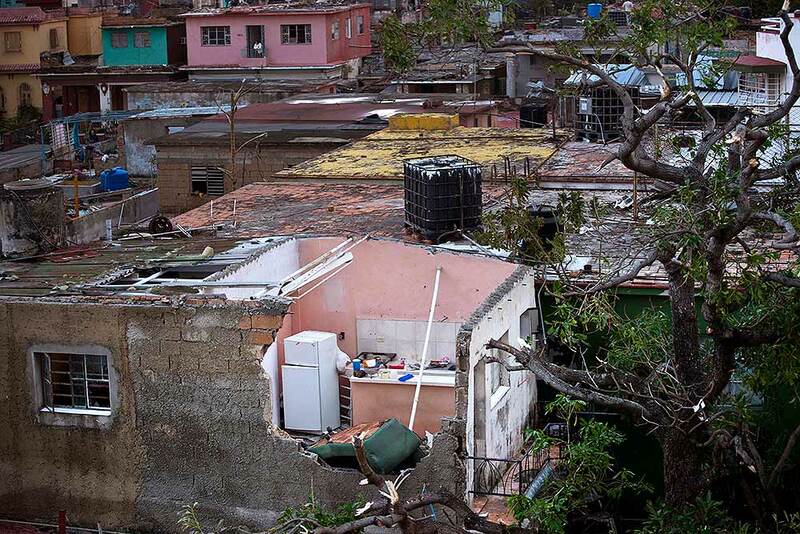 A home's kitchen is exposed after a tornado ripped the roof off in Havana, Cuba. 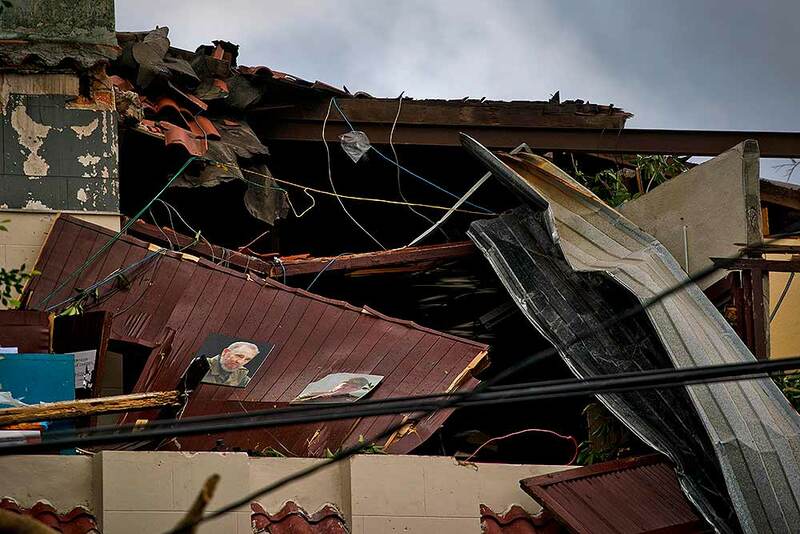 A photograph of Cuba's late leader Fidel Castro, left, lays next to a photo of his brother Raul on the wall of a home that was destroyed by a tornado in Havana, Cuba. 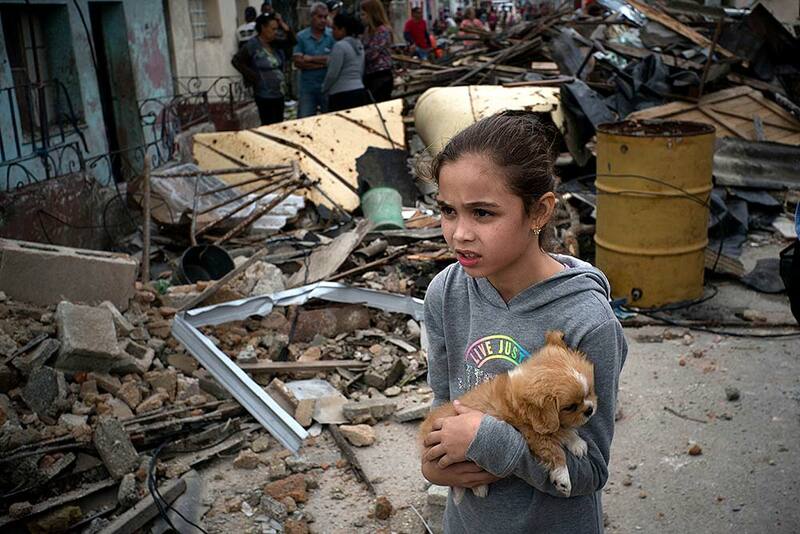 A girl with her puppy surveys the destruction left behind by a tornado in Havana, Cuba. 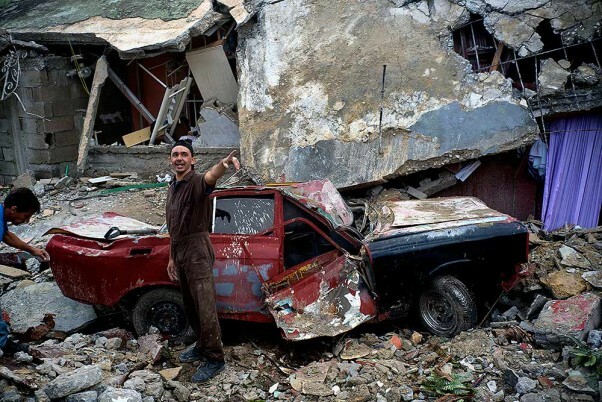 People talk next to remains of their house, destroyed by the force of the tornado in Havana, Cuba. 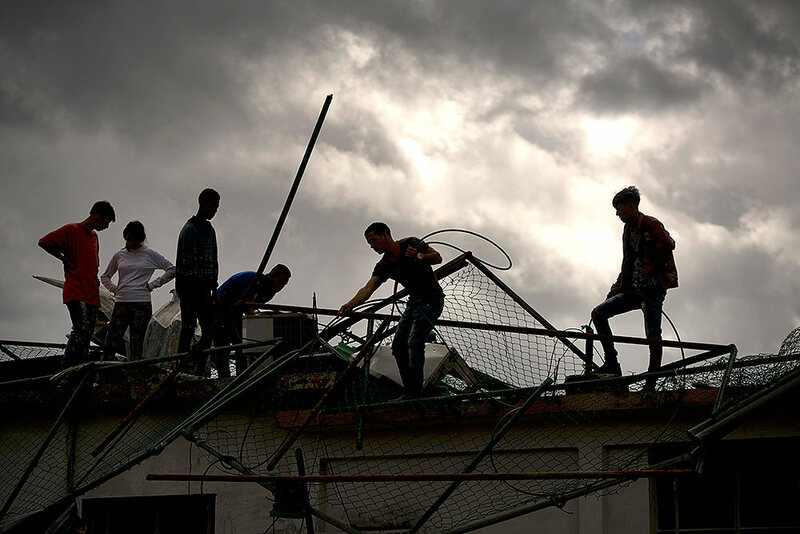 People work to remove rubble from their homes destroyed by a tornado in Regla, Cuba. 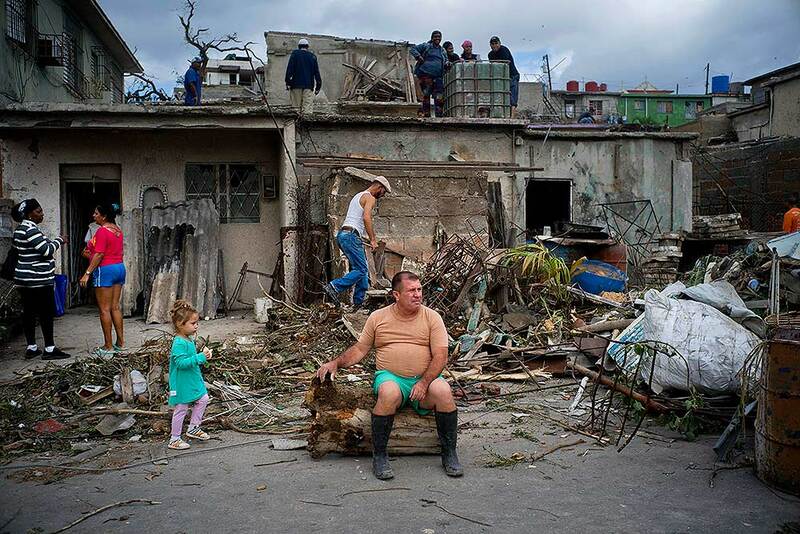 A man rests on the trunk of a tree that was toppled by a tornado, as he takes a moment to rest from removing rubble from his home in Regla, Cuba. 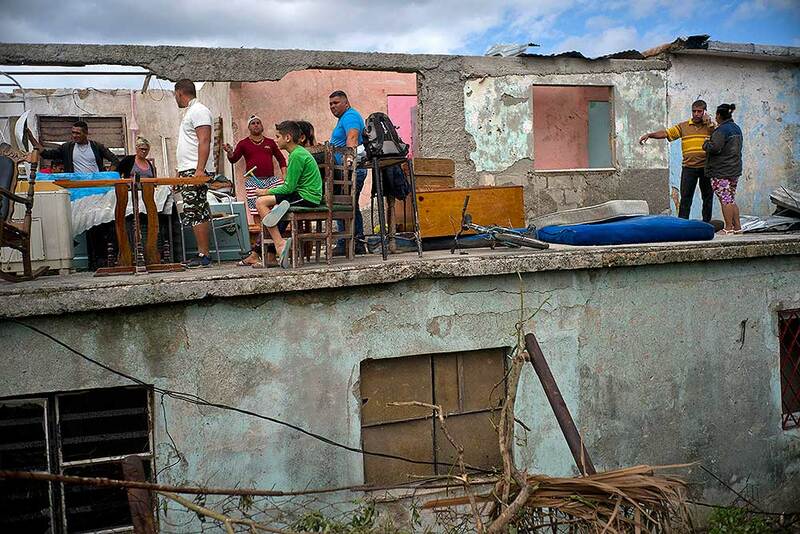 People rest in the remains of the second floor of their house, collapsed after a tornado hit Regla, Cuba. 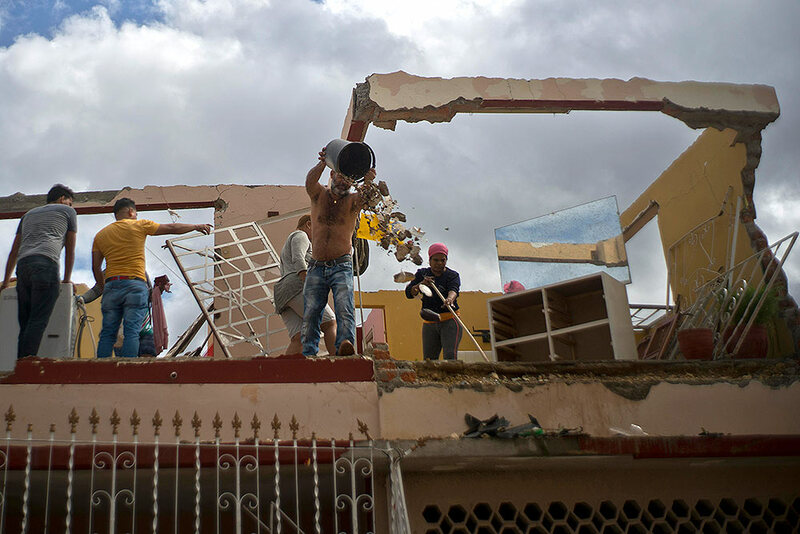 People work to recover valuable remains off the terrace of their house, destroyed by the force of the tornado in Regla, Cuba. 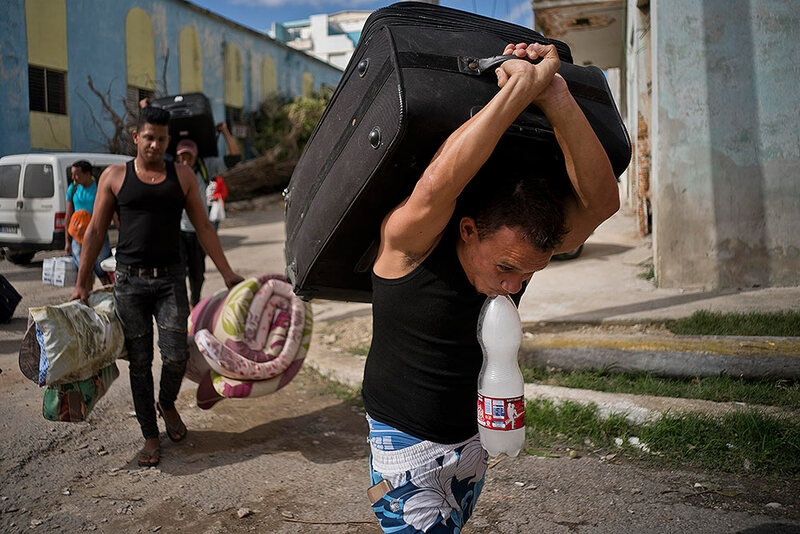 People who's homes where damaged by a tornado carry their belongings to be taken by bus to a shelter in Havana, Cuba. 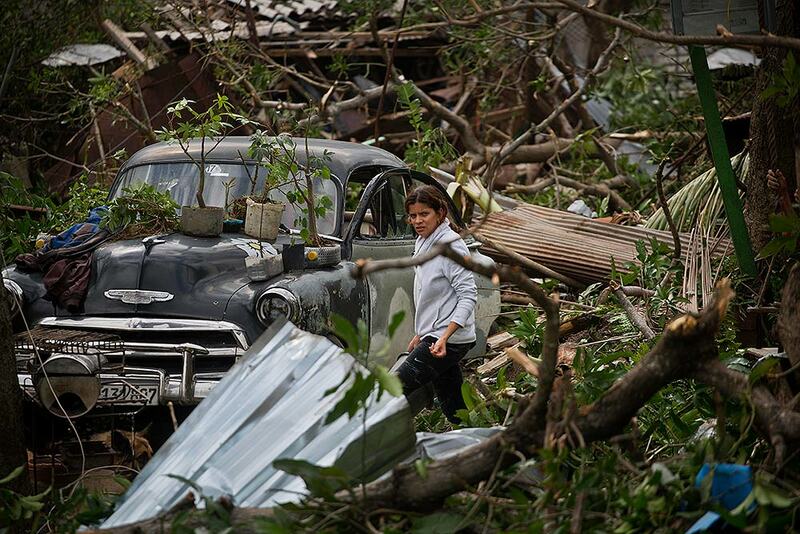 A woman recovers her valuables after her house destroyed by the force of the tornado in Regla, Cuba.